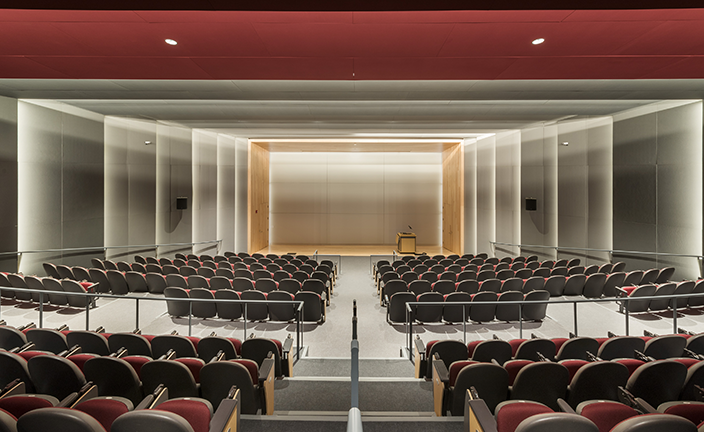 Gaige Hall is the home to the Dean of Arts and Sciences, the Departments of Anthropology, Modern Languages, Philosophy, Political Science and Sociology; and the Audiovisual Department and Audiovisual Help Center. Built in 1966, Gaige Hall faced a series of infrastructure problems that greatly affected the learning environment including extreme fluctuations in temperature, lack of natural light, and poor acoustics. Built at a time when teaching and learning methodology favored a more segregated and inward environment, the floor plan lacked many common and gathering areas. 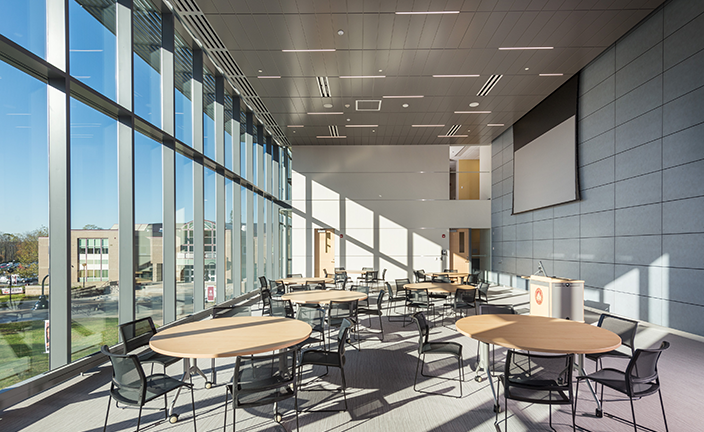 The renovation and addition to Gaige Hall completely reorganized the departments and classrooms; creating integrated collaborative zones throughout the building to provide flexibility to the various user groups. 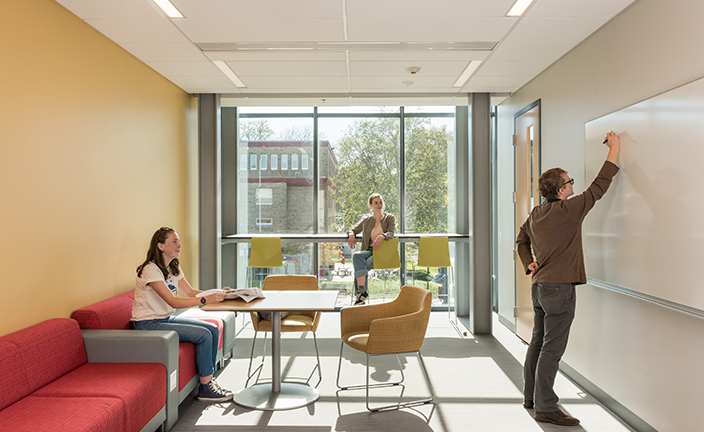 The program was laid out in a manner that establishing more open, light-filled spaces that encourage a sense of community and provide areas for gathering, group study, and casual meetings. 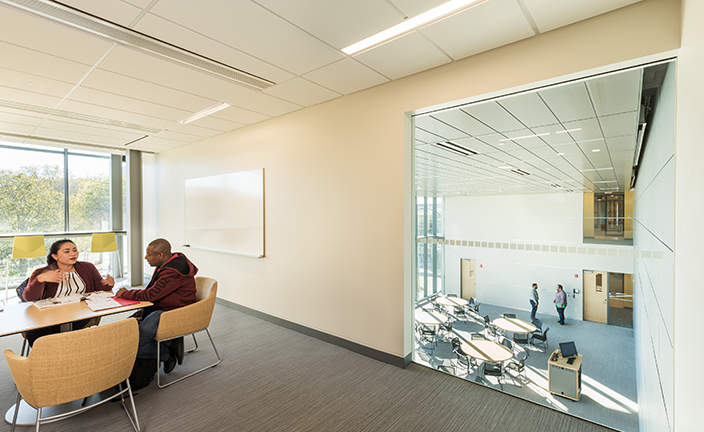 A small addition makes a connection on the third level of the building, creating additional space for new student lounges areas with power stations for technology, and a large multipurpose room overlooking the quad. 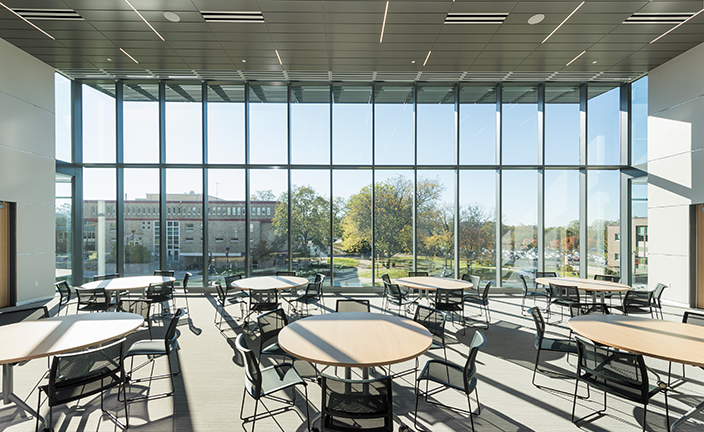 The multipurpose room further opens up the building to allow natural daylight to penetrate the interior. 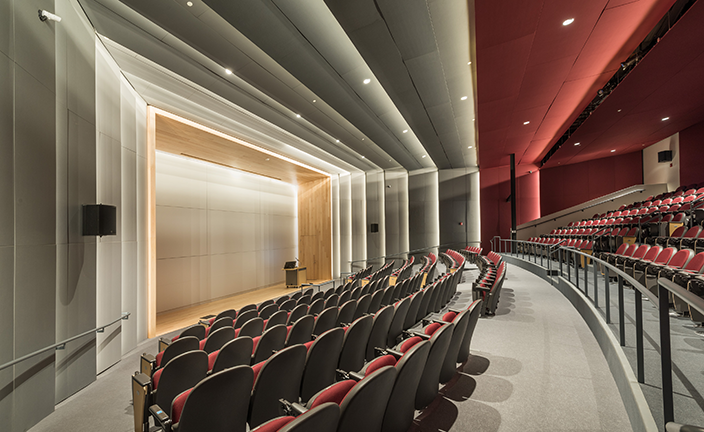 A 334-seat auditorium with improved sightlines, updated acoustics and state of the art sound system is one of the new features of the building. 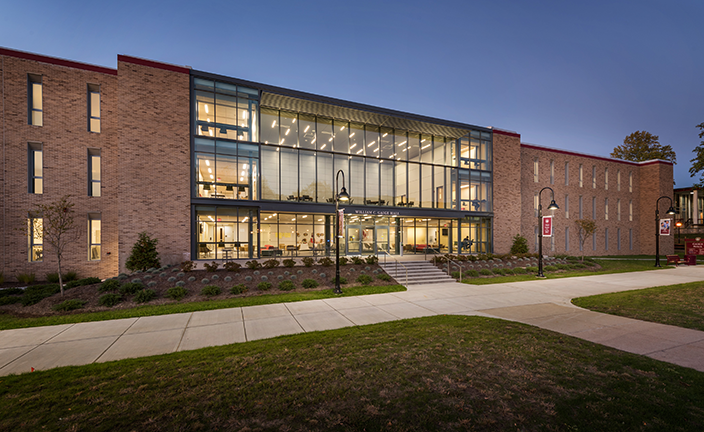 The modernization and upgrade of the building envelope and mechanical systems combined with the incorporation of accessible design re-establishes Gaige Hall as a campus destination. Read what RIC has to say about Gaige Hall here.